3.for monkey, rabbit, dog etc. When the ventilation technique with open high frequency and low humidify volume is adopted, the airway pressure is low with little effect on blood stream returning to its heart and the effect of oxygen compound is good and the oxygen partial pressure can be increased rapidly. While the one with regular frequency and great humidify volume is adopted, CO2 can be ejected easily. Convenient connecting, it can be connected through the nasal and endotracheal tube. The ventilation mode with high frequency and low humidify volume will not easily produce pressure hurt. The effect of oxygen dispersion is so good that the tested beastie can stand for a long time. 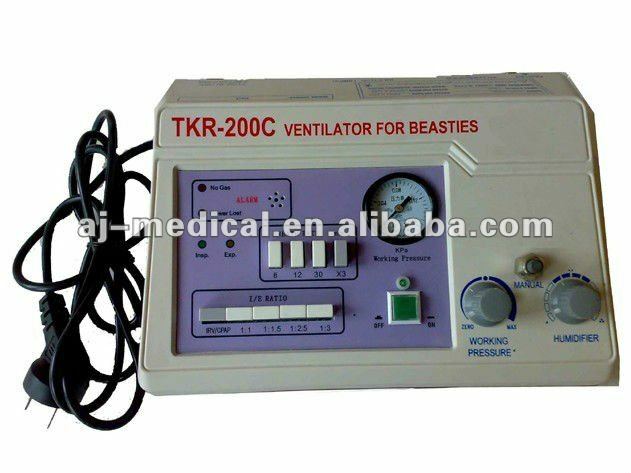 Adjustable oxygen concentration, the ventilation mode with continuous oxygen stream and good humidifying effect can ensure beastie to respire independently. Be fit for manual ventilation test for monkey, rabbit, dog etc. Configured with multiform ventilation con-duit for beasties or connected with gas source in addition. Ventilation Mode: HFJV(High Frequency Jet Ventilation), CPAP (Continuous Positive Airway Pressure), Manual Control Mode. Ventilation connection tube for dog,ect.